I had been suffering with a bad shoulder for years, trying to play tennis, golf, plus daily activity and trying to suffer through the constant pain. Dr. Toman repaired my rotator cuff, repaired a bicep tendon tear and replaced my shoulder joint. I am a Dr Toman Hip replacement patient. Last January I asked Dr Toman to repair a damaged hip. The repair gave me some improvement but did not reinstate a manageable quality of life. In July Dr Toman replaced the hip in a brief surgical procedure, five hours later the hospital physical therapist had me walking the halls for exercise. I was living in almost constant pain in my left upper leg/ hip area. I was recommended to Dr. Toman by my family doctor, and I am so glad that I went to see him for he changed my life for the best. I have complete confidence in Dr. Toman’s ability as a surgeon.His expert staff is the best and he responded to my shoulder pain in rapid time. Dr. Toman has treated me for two different conditions over the past 9 months: first for lower back pain and then for a rotary cuff tear. I was impressed from the start that Dr. Toman referred me to physical therapy for my lower back pain rather than jump right into surgery. I am 20 weeks post op from a rotator cuff surgery. The surgery and recovery has gone very well. I have been and continue to be extremely happy with the entire process that I have gone through. 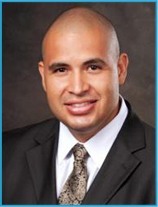 Dr. Toman has proved highly professional as he guided me through this experience. 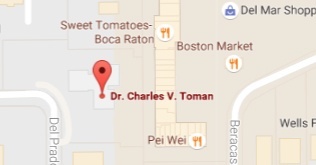 Dr. Toman and his staff cared for me prior and during my rotator surgery in April 2012. They are wonderful to work with and always treated me with much kindness and care. It is refreshing to visit with a doctor that takes the time to address your concerns while providing you with the various options available to you for your situation. I have had two surgeries with Dr. Toman, my knee and my ankle. I had my left shoulder replaced by another physician here in town. I have been to many physicians because I was unable to use my left arm .I was told to exercise it.I went to see Dr Toman M.D. .The first visit He did a examination me and took x-rays. He then told me I needed further surgery. The shoulder I had was not properly attached. Update on my success (that’s me on the left. On January 27th, 2011, Dr. Toman performed surgery to repair my rotator cuff and bisup. Prior to surgery the pain I had was so bad I could not even pour a cup of coffee. Everything I did was difficult and very painful 24/7.